Goblins, ghosts and gargoyles. They delight us and remind us of the demons that haunted our dreams as children. The garden is always full of interesting creatures. This gargoyle sits and guards the flowers and the trees, with elegance and a touch of magic. 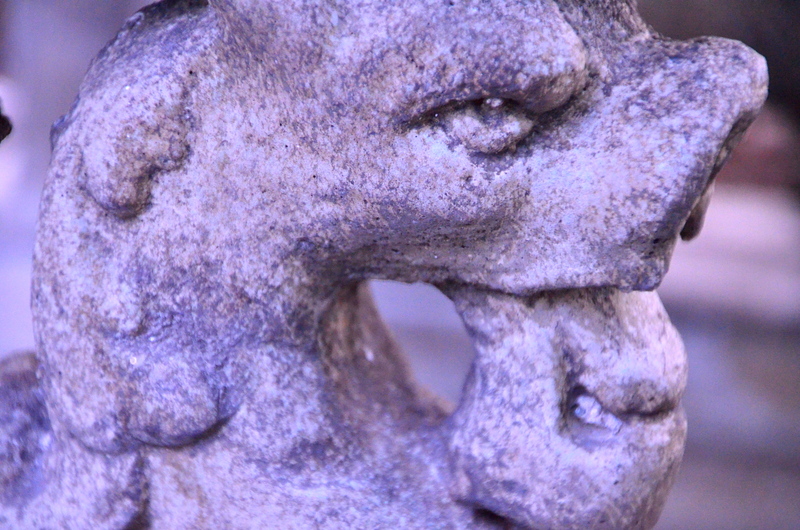 This entry was posted in Photography and tagged Concrete, Garden Art, Gargoyle, Nikon D-5100, Photography, Sculpture, Tamron Zoom Lens. Bookmark the permalink.